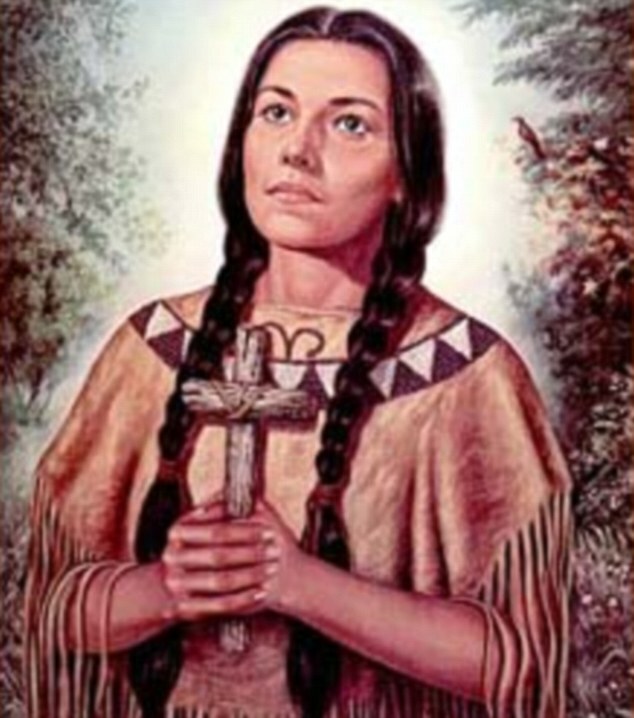 St. Kateri Tekakwitha, Lily of the Mohawks. She was known for her intense corporal mortification. My mom has a friend who runs a hair salon in the basement of her house. On our way out, she gave mom some old Korean magazines from her magazine stack. I ended up digging those magazines for hours in my room when we got home. The oldest one among the magazines is a December 2008 issue. The entire issue is full of articles regarding the suicide of the actress Choi Jin Sil, the ‘nation’s actress’ at the top of her career. Her career came to a halt after the divorce from her abusive husband, a famous baseball player Cho Sung Min which was a major trigger for her depression. She made a come back a year later only to fall again, this time, without ever rising back. She was deeply troubled with the rumor circulating all over the internet about her involvement with the suicide of a fellow actor who killed himself in the mounting pressure from the massive loan he took. Choi was portrayed as a ‘loan shark’ among the netizens. She never recovered from the wounds inflicted by the collective hatred that poured out at her. She killed herself by hanging on October 2, 2008. She left behind her two children from her previous marriage with Cho. But the family tragedy of Choi family was far from over. Merely one year and five months later, the family would lose another child, this time the brother of Choi Jin Sil, Choi Jin Young. The tight bond between the sibling was widely known and it was apparent that Jin Young suffered deep depression from the loss of his sister, Jin Sil. He also hung himself following the footstep of his sister on March 29, 2010. Then came the news of the suicide of Cho Sung Min, the former husband of Choi Jin Sil, on Jan 6, 2013. Three unfortunate deaths all within the last five years. I vaguely remember hearing the shocking news of the death of Choi Jin Sil, but at that time, I was in my own battle against my suicidal urges during the depressive episode. Depression had destroyed my marriage, and when Choi was hanging her tormented self in her bathroom, I was at the verge of life and death, struggling beyond my will power to choose life. Jesus held me up as I was hiding behind His white cloak of Mercy. The blood He shed on the Cross was still pouring out to feed my dying soul with an everlasting life. I was in that battle zone, when all that tragic news was going on. When I heard that Choi Jin Young killed himself after suffering from depression since his sister’s death, I was in Hawaii. I fled my unbearable life, and in my attempt to start anew, to live again, I have made that leap of faith following the Voice I heard during my intense prayer. The deep, gentle, male Voice had told me to take myself away from the world, away from the outer influences. It told me to separate myself for a while, and I did. I obeyed that Voice faithfully. I had to listen to that command. The other voices commanding me to destroy myself by the medium of suicide was persistently tempting me, but I made a choice. I chose to choose life. Because my Savior had already chose the path of death for me. He has paid for what I had to pay, and so I had to live. I did not have any other choice, but to live. I don’t believe that it was the weakness that killed them. Weakness is the human condition, and there is none in the world so strong that he can save his own life. That is precisely why Jesus had to die for us, because we humans are so weak. No it is not the weakness that was the cause of their suicide. If so, much higher number of suicidal deaths will have to be added to the already high statistics. But it was depression that infested their minds, preventing them from making morally correct judgement. I am assured that had they lived to be alive today, and had the mortally dangerous fog of depression been controlled over time, they would be reflecting their gravely torrential pain in a different light. It is a question many ask at least once during their life experiences under major stressors, of course. The difference is, some ask more frequently than the others. That question Matthew Warren asked when he was alive is very familiar with me. I lived asking that question every day, every living moment, since my early teenage years. I have recently asked the question during my last depressive episode. The underlying psychology of that question is not that he is seeking the easy way out. Living is difficult whether you have mental illness and any forms of illness or not. Living is hard for the billionaire granddaughter of Samsung founder(Lee Yoon-hyung who killed herself in New York), and it is hard for the babies in the womb(especially the great number of those who are aborted). The point is not the difficulty of carrying on the life. We all suffer with it. That knowledge is not what kills the depressed. It is the carnal desire of wanting to kill oneself that makes the difference. When the depression gets so deep, death seems so tempting. The sight of blood, and the searing pain of the physical all appear so tempting when compared with their circumstantial condition of the untouchable pain that it is extremely hard to resist that temptation. How right he was. This life comes with no rehearsal. Everyone’s here for the first time. We did not know where we were coming to, that the world we were about to embark on was already filled with temptation and that it had long forgotten its God, the creator. This is our first trial and last. So would God, whose understanding encompasses all, forgive? Would He forgive those who have taken their own lives despite His attempt to save them by sending His own son to die for their pain and suffering? Would He have mercy for those lost souls? These are the questions that now fill my mind. I console by remembering that we are all amateurs at living. This is our first time. Without any rehearsal, we get this one chance, this one opportunity, this one battle, this one life. And without Jesus, the giver of life, we are all already dead, even if our bodies are alive. Occasionally I look down to reposition my hands at the keyboard. My gaze drifts from the monitor screen and lands on the tops of my hands. Their fingers are busily moving about the keyboard. Those same fingers and hands have slashed my hands. Every time I look down, I see my fading old wounds I have inflicted upon myself. I no longer see my past pain that wounded my soul when I see these wounds. I see how Jesus has been with me, prayed for me, asking to His heavenly Father for the forgiveness of my sins. The signs of His forgiveness are written on the tops of my hands. They are written on the hands, feet, sides and the head of our risen Lord, Jesus. And so, today, though it has been a long time, I pray for the Choi siblings who took their own lives, and Cho who followed the path of death very recently. I pray for all those who have fallen into sleep by taking their own lives that they may be forgiven and that God may have mercy on them. May God forgive me for I have not prayed for them when they were suffering. May those who battle with illnesses, and mental illnesses be healed and comforted in the Love of Jesus and Maria. May they walk the path of life free from the grip of darkness. lilyboat, Matthew Warren’s death is indeed tragic. Thank you for your very personal, intimate perspective. Yeah, it is sad indeed. His pain is felt by many.. The good news is that it can be controlled and many have successfully overcome it and come out stronger! Thank you for the courage to share these painful insights. It is hard to know what to say, except to join you in prayer for these souls, and for you yourself. The article really touched my heart though I read it years later. The news of Matthew Warren made me deeply ponder the matters of suicide. I wrote a prayer for them to be united with God by His unending mercy. I think it is vitally important for those who are living to pray for those poor souls.. thank you for joining me in the prayer..